The professors who teach in the program include widely-published researchers, best-selling authors, and award-winning teachers. They are experts at merging theory and application to guide participants in the classroom and beyond. Using a blend of case studies, briefings, class discussions and experiential learning, your professors will create a classroom experience that is energized and exciting. Teaching working executives and managers requires a specialized approach that acknowledges and builds upon the skills and experience every participant brings to the table. The faculty in our program have extensive teaching experience, not only in two of North America's most respected Executive MBA programs, but also in our highly-acclaimed non-degree executive development programs. In short, our faculty members are experts in executive education. In addition to their exceptional academic credentials, the program faculty has extensive business and consulting experience with some of the world's leading organizations. This allows them to augment class material with relevant, real-world examples. They are widely seen as authorities in their areas of expertise, and their research and expert commentaries are often featured in the North American business press. The faculty in the Executive MBA Americas program is committed to your success, both academically and in your career. For that reason, you will find them easily accessible by e-mail and telephone to answer questions and provide assistance outside of class time. The Cornell-Queen's learning model fosters close working relationships between faculty and participants. Since 1991, Robert Bloomfield has studied the effects of financial market regulations on investor welfare, and how psychological forces can alter the behaviour of financial markets. He is the founding Director of the Financial Accounting Standards Research Initiative (FASRI). An advocate for uses of virtual worlds for education and distance collaboration, he hosts the weekly Metanomics event series in Second Life, which explores business and policy aspects of new technology. His virtual world activities have been covered extensively in the media, from BusinessWeek and The New York Times to CFO Magazine, Technology Review. 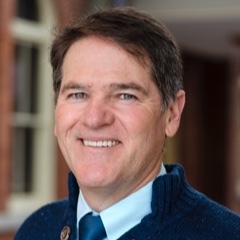 Professor Bloomfield is an editor of Accounting, Organizations and Society, and serves on the editorial boards of a number of peer-reviewed journals. Murillo Campello is an internationally recognized scholar of financial economics. His research has dealt with issues such as the impact of market imperfections on companies, product markets, corporate capital structure, monetary policy transmission, financial crises, econometrics, and more. His work has been cited by prominent policy authorities such as the Federal Reserve chairman, mentioned in Congressional hearings, described in the “Economic Report of the President,” and used to advise the U.S. Supreme Court. His recent work on the financial crisis has been widely featured in the financial press, books, and academic outlets. He has been published extensively and served as Associate Editor of several leading finance journals. He earned his PhD in finance from the University of Illinois, a MS in business administration from the Pontifical Catholic University of Rio de Janeiro, and a BS in economics from the Federal University of Rio de Janeiro. Yao Cui is an Assistant Professor of Operations, Technology and Information Management at Cornell University. He received his doctoral degree from the Stephen M. Ross School of Business at the University of Michigan and his bachelor degree from Department of Industrial Engineering at Tsinghua University. Professor Cui’s research interests are in pricing and revenue management, with an emphasis on providing firms with insights about innovating pricing strategies and incorporating consumer behaviors in novel pricing strategies. His research explores the interface between operations management and other fields including marketing and microeconomics. 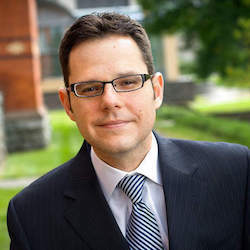 James Denford is a cross-appointed Associate Professor at Smith School of Business and an Associate Professor of MIS and Dean of Social Sciences and Humanities at the Royal Military College of Canada (RMC). His teaching and research specialize in the areas of information technology and knowledge strategy and leadership. In the past, he has served as Interim Dean of Continuing Studies, Department Head of Management & Economics and Director of Research Administration at RMC. He is also the current President of the College of Academic Leadership of the Association of Information Systems (AIS) and the past Vice-President of the Special Interest Group in IT Leadership of the AIS. 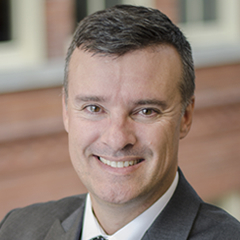 He moved to academics after a 24 year career in Royal Canadian Army Signals, working in tactical, operational and strategic communications, IT training and as director of two army research labs. He has a B.Eng (Engineering Management) and an MBA from the Royal Military College of Canada and a PhD in Management from Queen’s University. Peter is an Adjunct Professor teaching both Marketing Strategy and Brand Management at the Smith School of Business. Credited as co-creator of LEVEL5 Strategy Group, a national leader in strategy consultancy, Peter is now at the helm of PSD+G Strategy Group. With a passion to share his knowledge and help grow a new generation of thinkers he brings his experience into the classroom through a wide range of diverse clients that include Natural Products Canada, Canada Post, Yellow Pages, Open Blue Sea Farms (Panama), Aeroplan, Shoppers Drug Mart, The Forzani Group, Live Nation, Sunnybrook Health Sciences Centre, Groupe Desjardins and the Greater Washington Board of Trade. Peter has a BFA in Communication Arts & Design from Virginia Commonwealth University and attended the Graduate School of Business Executive Management Program at Columbia University. Diana Drury is the Director of Team & Executive Coaching at Smith School of Business. She is an experienced Team Performance Coach, Counsellor, College Professor and Facilitator. Diana is responsible for the overall leadership of the team and executive coaching programs which operate across eight of the Smith School of Business MBA and Master’s programs and Queen’s Executive Education. She also works extensively with outside organizations. She has over 30 years’ experience working with high performing teams as an Administrator, Athletic Director, Coach and as an athlete at the College, University, Provincial and National levels. She has been the recipient of numerous coaching awards. She also competes as an athlete nationally representing Canada at the World Masters Games. To date, Diana has been inducted into seven Halls of Fames across Canada as an Athlete, Builder and Coach. Shai Dubey is Director of the Queen’s Full-time MBA program and a member of the School’s faculty, teaching courses in negotiations, cross-cultural management, ethics, domestic and international business law and entrepreneurship. He is also a corporate commercial lawyer and has practiced law at several major law firms in Toronto. Previously, Shai was the COO, General Counsel and member of the Board of Directors of Quicklaw Inc. He is currently the Vice-Chair of the KROCK community advisory board and Vice-Chair of the Kingston Economic Development Corporation. Shai also sits on several financial committees for organizations that provide funding to entrepreneurial enterprises. Janet Gilfillan is an experienced Facilitator, Team Coach and Leadership Consultant who develops and delivers strategic coaching and leadership programs. Previously she has held senior executive positions at several Canadian Corporate Communications and Marketing Agency organizations. Janet works with the Executive Education department at Cornell University as Head of Team Coaching. She is also a Senior Associate Consultant with Knightsbridge Human Capital Solutions. Janet has spoken at a variety of conferences, is a mentor with the Queen’s Women in Leadership program, as well as a member of the Women’s Executive Network and the International Coach Federation. Janet holds an Honours Bachelor of Arts degree from Western University, and an MBA with distinction from Queen’s University. Professor Grinstein has been a full time faculty member at the Samuel Curtis Johnson Graduate School of Management for 15 years. He is currently serving part time at Johnson as an Adjunct Professor of Finance. Professor Grinstein's research and teaching interests are in corporate finance and corporate governance. Grinstein has been published in several journals, including The Journal of Finance, The Journal of Financial Economics, The Journal of Financial Intermediation, Review of Finance, and others. His research has been widely cited in major newspapers such as The Economist, Financial Times, New York Times, Forbes, Time, Washington Post, as well as in Congress hearings. Grinstein is an Associate Editor at Management Science and an Associate Editor at the Financial Review. 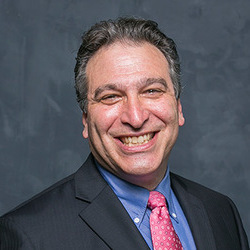 He is the recipient of the Management Science Distinguished Service Award in 2014, the Best Teacher Award, Cornell Executive MBA Program, in 2013, the Best Paper Award from The Journal of Financial Intermediation in 2006, and the Best Paper in Corporate Finance Award from the Southwestern Finance Association in 2005. He is also the recipient of the Clifford H. Whitcomb faculty fellowship in 2004-2005. Between the years 2006-2007 he visited the Securities and Exchange Commission as a visiting academic scholar. Ori Heffetz's interests lie in the social and cultural aspects of economic behaviour. He has explored phenomena such as conspicuous consumption, where consumers purchase visible goods in their attempts to advertise their wealth and gain social status. He is similarly interested in the use of consumption as a language to convey meaning and in its relationship to fashion and advertisements. He has worked with participants in both Executive and full-time MBA programs at Cornell. His dissertation was featured in the New York Times and in the Israeli newspaper Ha'aretz. He has traveled extensively in developing countries, studying problems that lie at the crossroads of economics, society, and culture. Justin Johnson received his PhD in Economics at MIT and his BA in Mathematics from the University of Florida. He is an award-winning teacher and researcher. His research focuses primarily on applied theoretical microeconomic issues related to strategy and industrial organization. He has served as a reviewer for numerous academic journals and has made presentations at universities and business schools across the United States. Elizabeth Mannix's research and teaching interests include: effective performance in managerial teams, diversity in organizations and teams, power and alliances, negotiation and conflict, and organizational change and renewal. Her work has been widely published in a variety of journals and she is the co-editor of the book series Research on Managing Groups and Teams, now in its 10th volume. Professor Mannix is also the Director of the Institute for the Social Sciences, established in 2004 at Cornell. She is the winner of the inaugural EMBA Globe Award for Excellence in teaching. 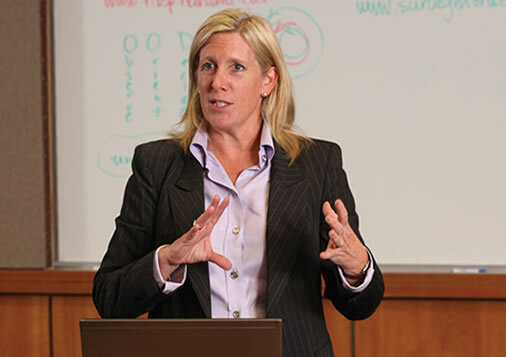 Elspeth Murray has served as the Associate Dean - MBA and Masters Programs since 2012, and has been a professor of Strategy and Entrepreneurship at Smith School of Business since 1996. She also holds the CIBC Fellowship in Entrepreneurship, and founded Queen's Centre for Business Venturing. Prior to joining Queen's, she worked in industry for 7 years for several firms including IBM, and Canadian Tire. As an integral part of her work in the strategy and new venture fields, Dr. Murray specializes in the management of change. In 2002, she co-authored a best-selling book, Fast Forward: Organizational Change in 100 Days, Oxford University Press, with Dr. Peter Richardson. She has recently co-developed (with Dr. David Saunders) the Analytics Climate Assessment Tool (ACAT), which is used to assess organizations technological capacity, skill sets, and analytics culture. Current research is focused on best practices in leading and managing change to create an analytics culture. 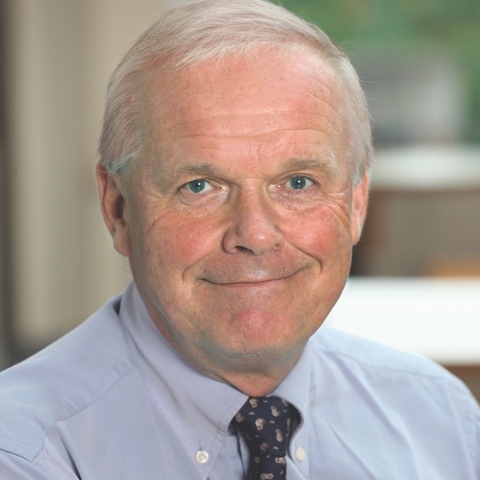 Dr. Murray teaches on many Smith MBA and Executive Education programs, and consults widely with a diversity of firms including BMW, Detour Gold, Wawanesa Insurance, Versacold Logistics and the Auditor General for Canada. She serves as a Director for several firms and is an advisor to several start-ups and CEO's. 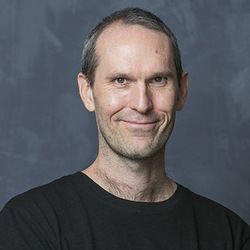 Dr. Murray received an undergraduate degree in computer science and mathematics, and an MBA, both from Queen's University. Her doctorate in Strategy and Management Information Systems was completed at the Richard Ivey School of Business. 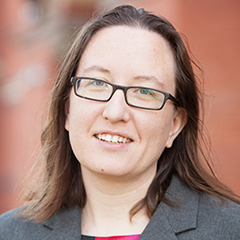 Professor Rennekamp’s research examines financial accounting from a behavioral perspective, and particularly how biases affect managers’ disclosure decisions and users’ judgments with respect to those disclosures. She teaches financial accounting in both the one-year MBA program in Ithaca as well as the Cornell-Queens Executive MBA. She is the recipient of numerous awards, including the Deloitte Foundation Doctoral Fellowship and the AAA Financial Accounting and Reporting Section’s award for the best dissertation completed in 2012. Her research has been published in leading journals, including The Accounting Review, Accounting, Organizations and Society, Contemporary Accounting Research, Foundations and Trends in Accounting Research, the Journal of Accounting Research, and the Review of Accounting Studies. She received her M.S. and Ph.D. from the Samuel Curtis Johnson Graduate School of Management at Cornell University. Prior to joining Johnson at Cornell, she was a faculty member at the University of Illinois at Urbana-Champaign. Peter Richardson is a leading expert in corporate turnarounds and an authority on strategic management and the management of innovation. His strategic approach to cost management and margin improvement has been widely adopted by industry. During his years at Smith School of Business, Peter has authored over 75 papers and case studies on strategic management. With Elspeth Murray, he co-authored Fast Forward: Organizational Change in 100 Days. A previous book, Cost Containment: The Ultimate Strategic Advantage, remains one of the few books to be written on cost improvement. 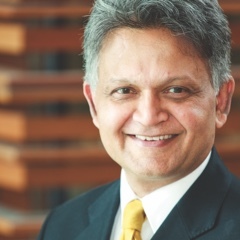 He consults widely for many organizations including BHP Billiton, Alcoa, CIBC Mellon, the Supreme Court of Canada, the Auditor General of Canada, and Natural Resources Canada, working closely with senior executives on strategy development and deployment. During his 20-year military career in Communications and Electronics, Paul commanded the Canadian Army's only electronic warfare squadron. He also served as Director of the Canadian Army Experimentation Centre, where he conducted studies to assist the Army in making capability development decisions, putting him at the forefront of validating most of our modern military decision support and command support practices. 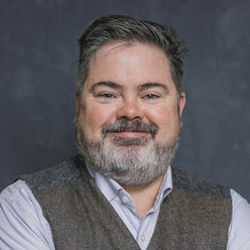 Since leaving DND in 2001, Paul has pursued an academic career at both The Royal Military College and currently at Smith School of Business where he is an Associate Professor of Management Science specializing in Operations Management. He has also been an active consultant and facilitator in the development of two Army Campaign Plans and the Canadian Forces Transformation Campaign Planning Team. Paul has two research awards and numerous teaching awards to his credit and is a partner at Strategic Red Team Consulting headquartered in Ottawa. 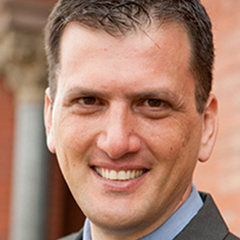 Since July of 2011 Paul has been the Director of the Executive MBA Americas Program. Michael Sartor’s areas of expertise include foreign direct investment, international joint ventures and strategic alliances, emerging economies and the institutional environment of foreign markets, with particular emphasis on the effects of corruption upon the strategies and performance of multinational enterprises. Sartor holds PhD and MBA degrees from the Ivey Business School, Western University and a JD degree from Osgoode Hall Law School at York University. His research has been published in the Journal of International Business Studies and has received awards from the Academy of International Business (Buckley and Casson AIB Doctoral Dissertation Award winner) and the Academy of Management (GWU-CIBER Best Paper on Emerging Markets). He is the author of multiple business case studies for teaching and he has co-edited a case study compendium for use within China’s burgeoning business education market. 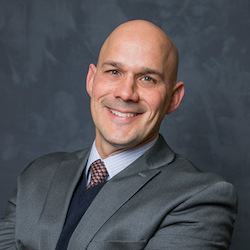 Professor Sartor has ten years of experience working variously in executive and corporate legal counsel capacities for publicly traded and privately held enterprises in the telecom and consumer packaged goods industries, prior to entering academia. 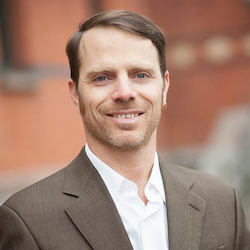 Stephen Sauer, an assistant professor, teaches courses in Negotiations, Leadership, and Organizational Behaviour and conducts a number of executive education workshops and seminars in negotiations and leadership effectiveness. His research activities focus on issues of leadership, status and diversity in management teams, and entrepreneurial team processes. His research has been featured in a number of mainstream media outlets, including The Wall Street Journal, Harvard Business Review, Forbes.com, and USA Today. Dr. Sauer graduated with a PhD in Management and Organizational Behaviour, an MBA and a Master’s in Business and Policy Administration, all from Cornell University. Tom Schryver is an experienced entrepreneur having served as a start-up founder and senior executive of high-growth companies. Tom has has managed accounting and compliance functions from initial start-up through successful financial audits by national accounting firms. Previously, he was Director of Finance for the Triad Foundation, where he started hedge fund and private equity programs and led the Foundation to top-quartile investment returns. Prior to Triad, he worked with UBS Investment Bank and with Banc of America Securities. Tom has an AB and a MBA from Cornell University, where he was a recipient of the Albert J. Fried Fellowship for Leadership and Academic Excellence. He is a Chartered Financial Analyst (CFA).